Two UK research institutes have announced a Centre-Centre research collaboration on food security and agriculture with the Chinese Academy of Agricultural Sciences. 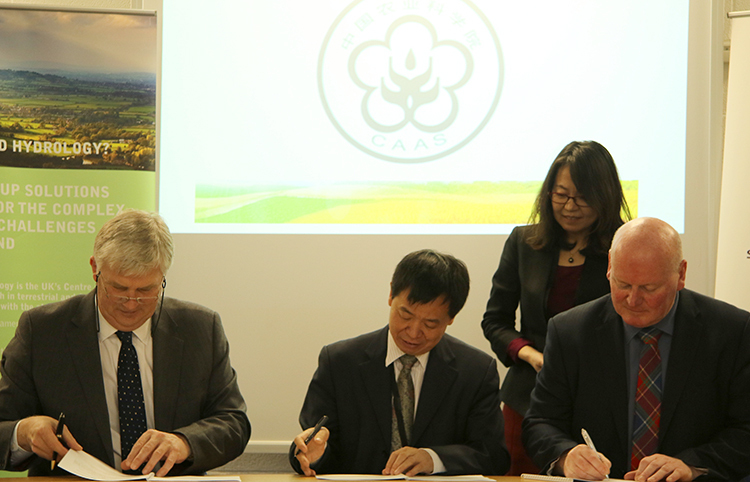 The memorandum of agreement involve the UK’s Centre for Ecology & Hydrology, part of NERC, Scotland’s James Hutton Institute, and the Chinese Academy of Agricultural Sciences (CAAS), the leading agricultural research institute in China with over 7000 staff. 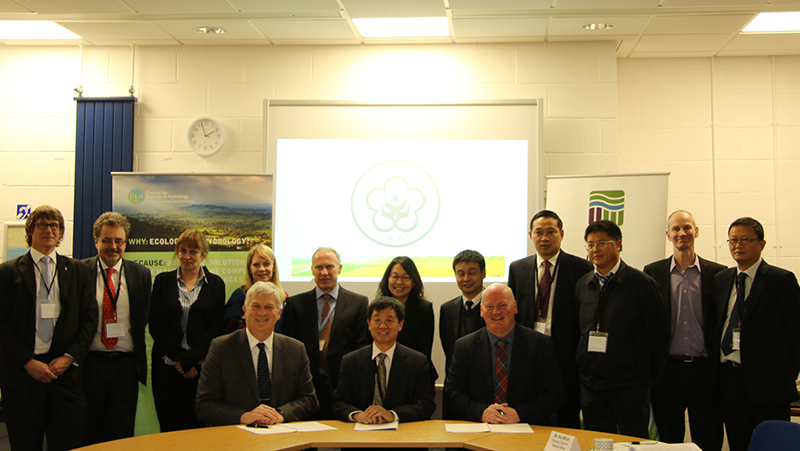 The signing ceremony took place at the Centre for Ecology & Hydrology headquarters in Wallingford, UK. The memorandum of agreement will facilitate bilateral exchange of research scientists, the development of collaborative research programmes, and the appointment of joint studentships.